Home Unlabelled A Mind Screwing Puzzled Mess! A Mind Screwing Puzzled Mess! Bombairiya Movie Review: A Mind Screwing Puzzled Mess! What’s Good: If you minus all the abrupt chaos happening on screen, the message is good! Radhika, yet again, acts like she’s not acting. What’s Bad: Though the movie being of just 104 minutes, it demands more than what it supplies! Poor execution to a good story. Loo Break: I’ll suggest against it, because any which way the story is so complex and if you take a break, you’ll never get what’s happening. Watch or Not? : I would’ve said yes if this was a ‘Read or not?’ because the film’s story is an amazing fit for a novel. The story set, ofcourse in Bombay, revolves around multiple people who get connected with each other because of one accident. 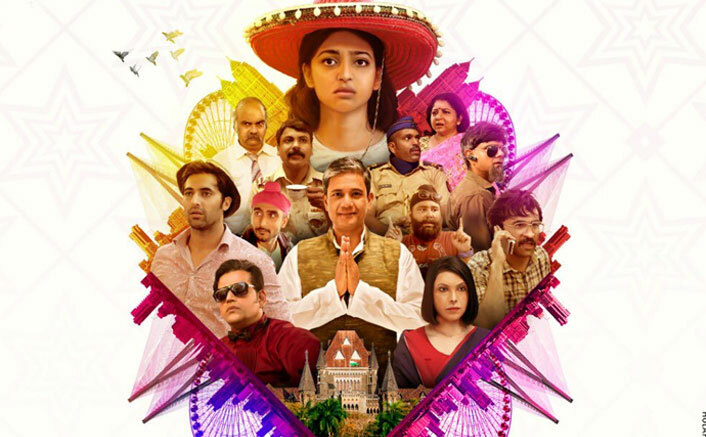 Meghna (Radhika Apte) is a PR who is trying to adapt the spiritual life of Brahma Kumaris. She’s seen burning the standee of Karan Kapoor (Ravi Kishan), who’s a very famous film star. She gets into an accident with a scooty driver (Siddhanth Kapoor) who grabs her phone and ride away because she was shooting his video. Now, Meghna’s phone has something which troubles everyone from Karan Kapoor to a corrupt minister Kamlesh Pandya (Adil Hussain). Also, that scooty driver is upto something which gets him under the suspect for a terror attack. Rest of the story is about how all of these people connect with each other to end on a similar point. It starts with, “Witnesses are the eyes and ears of justice,” – a Jeremy Bentham quote hinting at what there might be in the plate for us. Michael E. Ward’s story is surely applaudable for being different but it gets shadowed by how it’s executed. Too many characters, too much less time to establish them – the movie suffers from being shoddily edited. It’s just 104 minutes long and yet you’re tired halfway through the movie. Surely not one of the best ‘Bombay’ capturing movies, however not one of the worst too. Karthik Ganesh’s camera takes us through the streets of Mumbai but is not enough to connect you with the city. There are some genuinely hilarious situations but by the time they come, you’re least interested in what’s happening on screen. The movie is like a train running towards the airport – productive script roaming aimlessly till the end. Radhika Apte is a natural as always. Being effortless takes a lot of effort and here’s she proving yet again. She brings out the emotions very well through her expressions. Akshay Oberoi delivers a decent performance and he’s good as a naive Pintu. Siddhanth Kapoor is very good too as the scooty rider. He enjoys a very well written character & justifies it. Amit Sial as CID officer Gujral acts well and carries the gray shades brilliantly. Adil Hussain is royally wasted & so is Ravi Kishan. We’ve seen in the past what they both can bring to the table, unfortunately they’re just filling the casting space here. Pia Sukanya’s direction becomes the victim of a poor & confusing screenplay. There are sequences where you are forced to think hard & that’s where this thriller fails. It just doesn’t take a simpler route to maintain the thrills. But once the movie gets over, there’s a sense of realisations of how much better this could’ve been. Warsi brothers’ Sajde Karoon is used very well throughout the film. It’s the only song that clicks and I don’t even remember if there were any other songs apart from the post-credits one. The background score is pretty good and goes with the situations. All said and done, Bombairiya is one puzzled mess on screen. The unnecessary addition of confusion just takes away the thrill. A genuine attempt wasted because of poor execution. 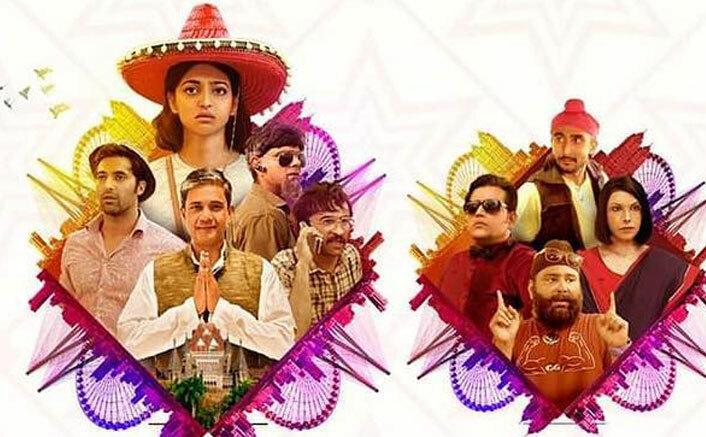 Bombairiya releases on 18 January, 2019. Share with us your experience of watching Bombairiya.